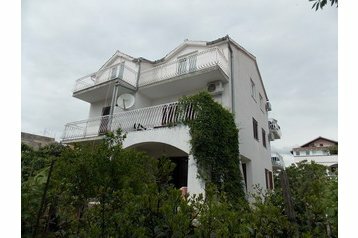 Vodice, accommodation in apartment house 900m far from the beach (gravel beach). Air condition for an extra charge. The landlord speaks also English, German. Parking by the family pension. Grocery shop 150m. Restaurant 50m. Bus 500m. Train (station Šibenik) 13km. Airport (Zadar - Zemunik) 61km. Vodice - centre 500m. The most popular apartments in Austria! Which sea to see this year? Czech Republic - where to in winter, spring and summer?